Earlier this month, I posted a photo of a beautiful robin's nest in my honeysuckle vine. Today, the babies! I can hear them through our home office window (they are right outside). 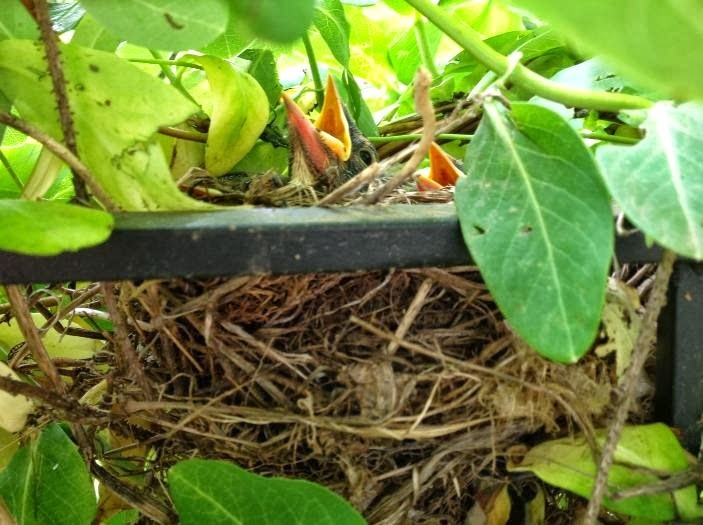 This is their second year nesting in the honeysuckle vine.